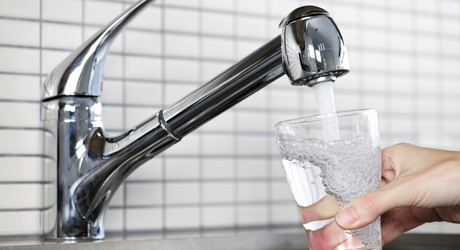 The supply of treated water in Jersey is governed by the Water (Jersey) Law 1972 (the law). The Environment Department of the States of Jersey act as regulator under the law in respect of water resources and quality. The law requires that water supplied by the Company meets quality parameters laid down for “wholesomeness” and also requires the Company to submit details of its water quality monitoring plans to the regulator for approval. The submission of the plans is followed up by regular visits from the regulator to inspect monitoring results and records. Where, for whatever reason, it is discovered that water supplied does not comply with the relevant quality parameters then the breach shall be assessed by both the Company and the Regulator and remedial action taken where necessary. The law allows, in certain circumstances, a relaxation (or derogations) (where it could be demonstrated that there was no associated health implication). The Company has applied for and been granted derogations in respect of nitrates. The law places a limit of 50mg/l as the maximum allowable concentration (MAC) of nitrates that should be present in treated water. The Company has been granted a derogation allowing 33% of samples in any one year to exceed 50mg/ up to a maxium of 70mg/l. The derogation is necessary as the Company has no control over the use of the land from which the water is collected. The use of nitrogenous fertilizers by farmers results in nitrate pollution of the island’s waterways. Until such time as water catchment management areas are established (which will control the use of fertilisers in certain areas), the situation is likely to remain unchanged.